Chimamanda Ngozi Adichie, the prize-winning Nigerian writer, has said she opposes Western military intervention against Boko Haram, the rebel group from the north of the country that recently kidnapped, and is still holding captive, more than 200 girls. She said that while Boko Haram’s actions had forced members of her own family to flee the area, a foreign attack on her homeland would be counterproductive. “Now we have American drones helping us in this forest and even the French have sent in people – shouldn’t they be fixing their own economy?” she said. “We can solve our own damn problems,” she added. 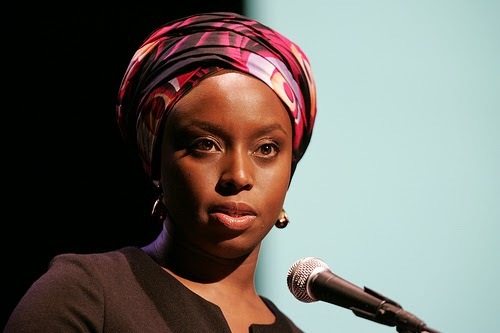 At the same time Adichie, speaking at the Hay Festival, welcomed the social media campaign Bring Back Our Girls that has drawn the support of many in the US, including Michelle Obama. She pointed out that the Twitter hashtag #bringbackourgirls was started in Nigeria and not, as has been claimed, in America. “It was very much a grassroots social media Nigerian campaign. The fact that westerners are sharing in something started locally is fine with me. Adichie argued that local knowledge would be more useful in finding the girls than US drones. “I’m sure that there are hunters in that area who know that forest very well. Why haven’t they been used? Why aren’t we depending on them? “What we need is a better equipped military, a better trained military: we don’t need Americans to send people in.” Stopping herself at this point, she joked: “This is my Nigerian nationalist rant”. After an American lady in the audience asked a question, Adichie assured her that she could only tease the country because she had so much affection for the place. “It’s like a rich uncle who doesn’t remember my name but gives me pocket money,” she said to audience laughter.